Peel Road Runners travelled far and wide over the extended Bank Holiday weekend to get their running fixes in. 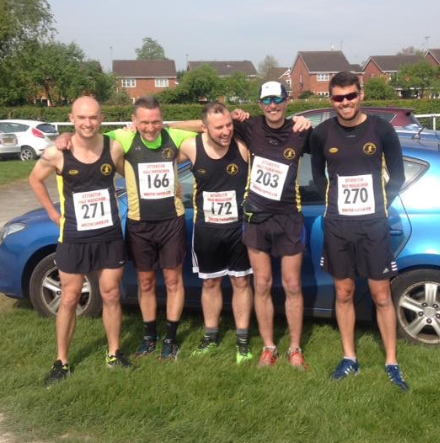 For the second BDSL race of 2017 season, runners from all over the midlands converged at Uttoxeter on Sunday 30th April for the Uttoxeter Festival of Running Half Marathon. Running in Peel colours for the mens division were Robbie Baden 1:26:28, Michael Shelton 1:32:58, Lee Rickards 1:43:41, Dave Fern 1:50:24, Richard Finnegan 2:00:40. The team scored 229pts and finished in 10th place overall. 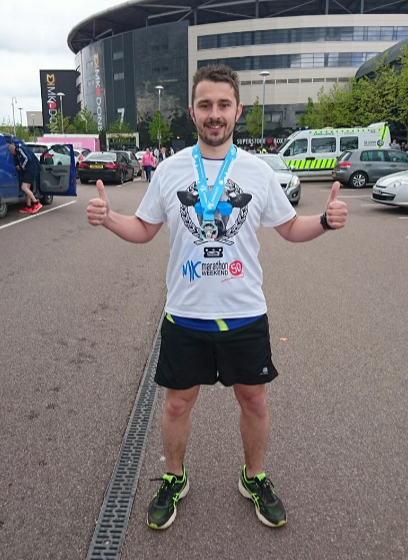 Also running down at Milton Keynes and continuing their Comrades training were Richie Bunn 3:43:29, Tricia Bunn 3:48;57. Meanwhile Bob Donovan continued his own epic multi marathon year finishing with a time of 5:08:26. 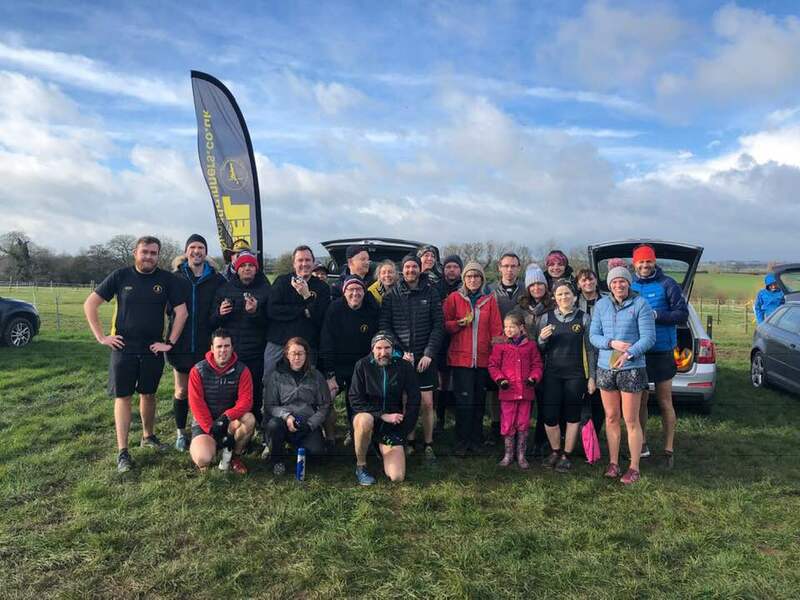 At the busy Kingsbury Water Parkrun last week, the first Peel Road Runner home was Richie Bunn (before departing for Milton Keynes) with 22:10mins. An improving Zoe Schnepp ran a ‘post baby personal best’ time of 22:55mins (just 4 seconds of her all time PB!) Tim Mudd came home in 24:23mins. Next Peeler across the finish line with 24:43mins was Robert Hirst with Darren Truman behind Robert with 27:20mins and Laura Bowyer with 34:15mins.